The North Street of today is not what it was, in essence, I’m prone to nostalgia, so it’s memories of the past that often flood back. I recall simple things like not having to be a taxi or bus to drive in either direction and that you could take any turn to the right or left without infringing any local legislation. I also remember the burly doorman supervising the Sunday queue in the Regent Cinema’s lower entrance in North Street, Flash Gordon and shouting my head off at the Saturday morning children’s film shows, and in the days before supermarkets, being dumped for an hour and a bit at the Princes News Theatre and then waiting for what seemed like hours to be picked up afterwards. As a youth I recall making a single coffee last the whole evening in The Lounge coffee bar, my Italian suit with cardboard handkerchief from Monty Burton, and how I loved watching any payments made at Horne Brothers being put into cylinders in their vacuum operated cash machines, my money being sucked away and within minutes my receipt returning with a loud plonk. 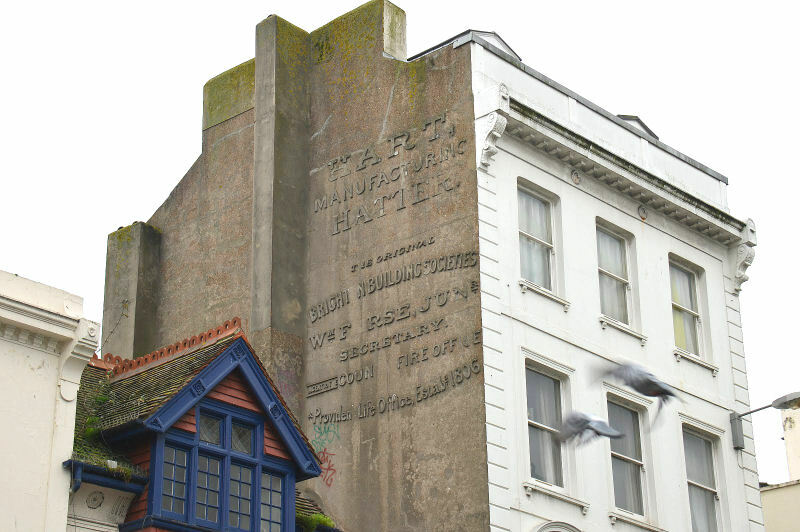 Although I now live abroad and realise all that has gone, I think you can still stand on the steps at the North Street entrance of Boots and look into the past from there. For example, unless local legislation has vandalised it, there should still be an ancient terracotta griffin on the tight apex of the peg-tile roof that was once over the Princes News Theatre, and also the Victorian hatter’s hand painted advertisement on the wall next to it. My advice to anyone that visits North Street these days is to ignore the dereliction, gaudiness and tat, and remember the past. If you take the time to think back, by looking above and below the various shop fronts, aspects of the original architecture and historical landscape are still there to enjoy. Back in the 50s, we used to go into the back entrance of the Regent Cinema in North Street for Saturday morning pictures. Sing-song first, then cartoons and Flash Gordon, Hoppalong Cassidy, etc. Had a marvellous time! On your birthday you would be called up on the stage and got a voucher to get in free next time! Across the road, The Princes News Theatre! You could sit in there as long as you liked – spent many happy hours watching the programme (always cartoons and Laurel & Hardy, Abbot & Costello, 3 Stooges etc. plus Pathe News which we weren’t so struck on!). Happy days.